3 Dead Children and 1 Fighting For Her Life in New Orleans Area, Whatâ€™s Happening in This World? I was born in New Orleans and lived across the lake from it most of my life. I have family all over the south eastern part of Louisiana. I have seen and heard of violence surrounding the whole area but for some reason when I got up and my husband told me he read about this story this morning it hit me hard. I suppose it is because it involves innocent children once again that have lost their lives. Another reason is because this time it happened a bit closer to home. Across the Mississippi River from New Orleans is what we call the West Bank. There is a small community there that they call Terrytown in Jefferson Parish that has been filled by violence and a lot of narcotic dealings for years. Recently though, there has been a string of robberies that has turned into homicide cases as well. This morning police say that two unidentified men entered the apartment by kicking in the door and killed a 19 year old mother and her 23-month old son in what could be called an execution style murder. They also shot a 6 year old boy and an 11 year old girl. All were inside the apartment when they were shot. The 6 year old boy died on the way to the hospital. The 11 year old girl is listed in critical condition at University Hospital fighting for her life. According to Col. John Fortunato, the two children that died were shot in the head and the mother of the baby was shot in the back. The 11 year old was shot several times. The woman was identified as Dominique Sterling and the baby was her son, Robert Claiborne. It is believed that Sterling was babysitting the other two children for a friend but they have not been identified as of yet. Witnesses have reported seeing two men dressed in black wearing dark clothing kick in the door of the apartment and they started shooting. Sterling was found on the floor in the living room and the two dead children were in the bedroom. Officials claim they also located crack cocaine and marijuana inside the apartment. One of the men has been reported as possibly wearing a red bandana scarf across the front of his face, a black baseball cap and a dark hooded sweatshirt. The neighbors are shocked to see that someone could kill innocent children like this, especially a toddler that probably couldnâ€™t even talk yet. He certainly couldnâ€™t have identified anyone here. The Sheriffâ€™s Office is asking that if anyone has any information to please contact the Homicide Division at 504-364-5300 or Crimestopper at 504-822-1111 or toll free 877-903-7867Callers donâ€™t have to give their names and they could receive a reward up to $2500 for any tip that can lead to an indictment. 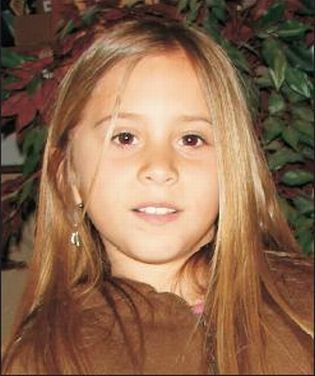 I have been following the Caylee Anthony murder case since mid July. Cayleeâ€™s mother, Casey Anthony has been in jail waiting to go to trial as she is being charged with first degree murder of her little 2 year old child. Caylee was found dead, shoved inside a laundry bag which was then thrown into a garbage bag and tied closed with duct tape, but before she was thrown away like she was trash duct tape was placed across her mouth. Since then BNN has covered stories concerning the disappearance of Haleigh Cummings that disappeared in the middle of the night as apparently someone walked into the home while the 17 year old babysitter/then girlfriend of the childâ€™s father slept only a few feet away. Haleigh has been missing since February and there has been no lead whatsoever in finding her. The whole case has strange things happening involving the father and the babysitter, who by the way decided to get married while little Haleigh is still missing. Then there was Sandra Cantu out of California. Here we had an 8 year old little girl full of life. It was apparent that she had a full life ahead of her only to have it stolen from her by someone kidnapping and murdering her and then stuffing her little body inside a suitcase and dumping her into an irrigation pool where she was found once the pool was drained. Now we hear that they have arrested a pastorâ€™s granddaughter and charged her with little Sandraâ€™s murder. 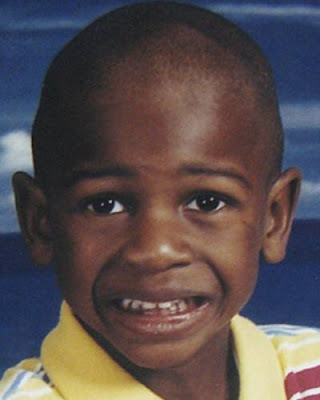 Others include Adji Desir, 6 years old has been missing since the 10th of January from Immokalee, Florida. Adji has also become a cold case. There are hundreds of cases that go unheard of by the public. Several cases go unsolved. The question I have is how anyone can murder a child. When my kids were small, and they had done something to upset me or make me mad, I remember all they had to do was look me in the eye and my heart would melt and I couldnâ€™t stay mad. In fact both my kids could do that to me right now. If I accidentally hurt one of my kids I would sit and cry as much or probably more than they would. So knowing how soft I am when it comes to children I find it so hard to understand how anyone can hold a gun up to a 23-month old babyâ€™s head and pull the trigger. What did those kids do to deserve that? Something has to be done to protect our children from this. Somewhere, somehow there has to be an answer. Children need to be taught not to talk to strangers yes, but how do we teach them how to know just who it is safe to talk to. Just because Mommy and Daddy know someone, does that mean they are safe? Unfortunately, the answer to that is no. Does it make them safe if they are a member of your family? The answer to that is No also. Just because they are a member of your family doesnâ€™t always mean they are safe around your children. So what is the answer? Iâ€™d love to say I have an answer but I donâ€™t. I raised my kids and was very fortunate thatÂ they grew up without any riskÂ to their life. Unfortunately though, not everyone has been so lucky. I pray that one day someone will come up with a answerÂ so we can protect our children more. Until then for those parents out there I ask thisâ€¦ PLEASE keep an eye on your children and donâ€™t let them become anotherÂ statistic in todayâ€™s society. 10 users commented in " 3 Dead Children and 1 Fighting For Her Life in New Orleans Area, Whatâ€™s Happening in This World? " Jan that is an AMAZING article….Perfect in every way….YOU ROCK…breaks my heart these children are treated like this.. I didnt know I could do pics like that down the page….learn sumpin new every day…YO!! Jan you grew up not to far from me, i love the south land, my home! Great article ! Beats me, Jan. Here’s a clue, I check in with as much of my family as I can on a regular basis, even the ones I don’t especially get along with. We all aren’t so fortunate to have close family ties and support and neighbors aren’t always friends or people we want to acknowledge these days. btw If Simon starts weirding out, let me know, and I’ll have a member of the extended family drop by. As they say in LA (lower Alabama) Ya don’t want to kill all the gaters in the pond around your house, they keep the snakes and varmints down. JAN,what a beautiful article. you are just wonderful with words i wish evrybody could see this article, pickles is right absalutly AMAZING. my prayers are with all these children, they are such presious gifts from GOD. they do not deserve to be treated this way. JAN what a great woman you are – and with a great husband! How wonderful this article is. I appreciate the time you must spend on your research. And all of this out of the goodness of your heart … pro bono. One great lady you are!!! Thank you for doing this for the children. Right now … Nancy G. Re run about Caylee. There are sweet pictures of her when she was very little. I often think/feel I can almost smell the Baby Powder. WHAT MORE can we do … this goes on and on and on an on? Beautiful article Jan. I wish there was more I could do to help these children. I have two grandchildren that have lived with me since birth. I mnake sure I hug them tightly each day and pray for all the other children out there. My five year old grandson was just diagnosed with selective mutism and it breaks my heart. Anyone know anything about it? ?